Denver—December 8, 2005—StewWebb.com & TomFlocco.com—9-11 widow Ellen Mariani’s allegations of disrespect by the host Joe Scarborough during herMSNBC interview attempt to explain government involvement in the September 11 attacks raises questions as to whether the national cover-up of the dead body of Scarborough’s former 28-year-old female staffer found in his Fort Walton Beach, Florida congressional office in 2001 is linked to the MSNBC job protecting the public’s right to know—or preventing truth about 9-11 from becoming a factor in exposing White House crime family evidence. After Mariani called us yesterday in dismay regarding how she was treated on-air by Scarborough, members of U.S. intelligence were contacted to find out why the normally affable Scarborough cut off Mariani’s comments about September 11 since she was the first victim family member to sue the Bush administration for direct involvement in the attacks—also refusing to join the other victim families in accepting millions in congressional “compensation” in return for signing a legal document promising never to sue the U.S. government or seek 9-11 criminal evidence in a courtroom. Sources within United States intelligence Special Operations Group told us yesterday that former congressional staff aide Lori Kaye Klausutis was found dead at her desk in Scarborough’s office and that she had been reading secret explosive “True Colors” documents, raising questions as to how and why Scarborough was in possession of transcripts detailing illegal covert operations conducted by and linked directly to White House crime families. U.S. intelligence officials were specific in their reports that “a P-2 team of three operatives from Central Intelligence suffocated her in Scarborough’s Florida district office recently after his divorce,” information blacked out by all U.S. national media outlets. The source told us he would be willing to come forward at a later date if subpoenaed by the Fitzgerald grand jury or possibly appear on a major cable news outlet. Intelligence officials said the top-secret True Colors files dealt with 1) government involvement in the 9-11 attacks, 2) White House-sponsored “death squads”—including state and local police known as “red squad” units also involving FBI Division 5 and other federal counter-intelligence groups within government agencies, 3) the Oklahoma City bombing and 4) evidence involving some 150 witnesses implicating former President George H. W. Bush, former President Bill and First Lady Hillary Clinton and then-Texas Governor George W. Bush and others in the assassination of John F. Kennedy Jr., who told family members he was planning to run against Hillary Clinton or George W. Bush in 2000. The agents said federal, state and local prosecutors were and still are being employed to frame innocent citizens on false charges to silence and neutralize patriot activists, whistleblowers and public officials. Creating a cable news media spin doctor? 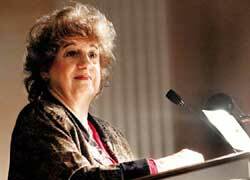 Curiously, Klausutis was reportedly active in Florida’s Bush v. Gore 2000 election recount activity—raising questions about what she knew; and on Friday, July 20th, 2001, her body was found slumped next to a desk on the floor of Scarborough’s Fort Walton Beach office where Lori served as a constituent services coordinator since May, 1999. Klausutis was found around 8:00 a.m. on Friday morning by a couple arriving for an appointment, and she had been dead for some time as the police cordoned off the office for an investigation; but they later announced that there was no reason to suspect foul play, nor were there signs of suicide—but national news outlets commenced a total television blackout. 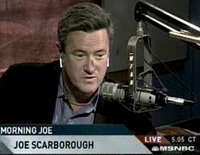 Scarborough had recently resigned from Congress—prematurely and unexpectedly—on the heels of reported rumors about his marital fidelity and shortly after his marriage ended in divorce. A member of her immediate family rejected the Scarborough office intimations that Lori had medical problems, reporting that Klausutis was a fine athlete, having recently run an 8 kilometer race with a good time as a member of the Northwest Florida Track Club. Dr. Michael Berkland, who found inconclusive results after performing the Klausutis autopsy, had recently relocated to Florida; and public reports reveal that Berkland’s medical license in the state of Missouri was revoked in 1998 as a result of Berkland reporting false information regarding brain tissue samples in a 1996 autopsy report—charges that Berkland does not deny. Berkland was also reportedly suspended from his position as a medical examiner in the state of Florida in July, 1999. According to an August 8, 2001 American Politics Journal (APJ) report, repeated requests to Dr. Stephen Nelson, Chairman of the Medical Examiners Commission, Florida Department of Law Enforcement, failed to verify that Dr. Berkland’s suspension was lifted and that his license and disciplinary record were clear at the time of the Klausutis autopsy. Dr. Nelson was appointed Chairman of the Commission by Florida Governor Jeb Bush. Berkland acknowledged on Monday, August 6 according to APJ, that Lori had sustained a “scratch and abruise” on her head and that his original denials were to prevent undue speculation about the cause of death. “The last thing we wanted was 40 questions about a head injury,” Berkland said. An August 29, 2001 report in the Northwest Florida Daily News revealed that “Klausutis’ head injury was more severe than previously reported,” raising additional obstruction of justice questions for any future grand jury probe. The same North Florida newspaper removed its September 1, 2001 story revealing that a “controversial autopsy report by ‘where’s the brain section’ Berkland raises more questions than it answers.” There are no indications why the report was removed. This, reminiscent of Arkansas medical examiner Dr. Fahmy Malak who was involved with the “dead boys on the railroad tracks” and other important autopsies involving suspicious and curious deaths during the Clinton gubernatorial administrations. The long-time intelligence official who spoke with us about Dr. Michael Berkland also immediately recognized the name of Dr. Malak as “another one of the ‘roster’ doctors called in to cover up suspicious deaths involving high government officials,” raising more serious questions about similar deaths involving government physicians. Toxicology and pregnancy tests have been sealed by Florida authorities according to reports, which adds to speculation concerning why the national media blacked out coverage of the suspicious death of a young female congressional staff aide in the member’s own office. Interestingly, the Klausutis family refused to acknowledge the fact that their daughter knew or even worked for Scarborough for nearly three years as a congressional aide, leaving her important position of state-wide honor out of her obituary altogether. 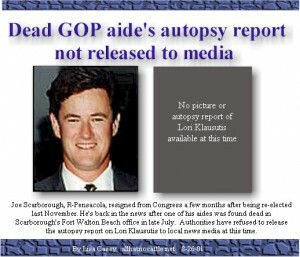 Moreover, as a high-profile deceased member of the Young Republicans of America national organization, a search of the Young Republicans web site found no mention of Lori or her contributions to the Florida Republican Party, nor any tribute to her memory, or comments about her passing, or position as Rep. Scarborough’s aide, also according to APJ. An NBC insider told U.S. intelligence yesterday that Scarbororgh was drinking heavily in the afternoon while complaints came in to MSNBC questioning his treatment of Mariani and his reasons for shutting off the widow’s microphone just as she was discussing 9-11 evidence never heard before during a national news broadcast in the United States. Ellen Mariani’s husband Neil was a passenger on United Airlines flight 175 that allegedly crashed into the South Tower of the World Trade Center on September 11, 2001—after which it was later reported by the Associated Press that the plane landed at the Cleveland-Hopkins, Ohio airport where the passengers were told that a bomb might be aboard the aircraft and that they were to be taken into the NASA Glen Research Center. It has further been reported that other 9-11 flights were taken to this clandestine government facility. Ellen was then asked by MSNBC host Joe Scarborough to express her opinion of the 9-11 Commission’s final report. When the 9-11 widow started with “4) Lets talk about Able Danger, the scripted 9-11 attack on America, the Oklahoma City Bombing, with direct ties to the Philippines and Wachovia Bank and then, let’s connect the dots: Oklahoma City, 9-11 & Able Danger, Scarborough cut off Mariani’s mike, took the camera off her and never allowed her to complete her statements. Mariani referred to another Scarborough guest last night, Richard Miniter, as a professional presidential spin doctor who referred to Able Danger as a former operation to rid terrorists throughout the world, which Mariani maintains is not true. Mariani explained that she was about to expose and explain her 9-11 research to listeners before she was cut off by Scarborough—evidence that she had heard and learned about from federal whistleblowers Tom Heneghan and Stew Webb’s weekly American-French Alliance U.S. Intel News Hour on Thursday evenings from 8 to 9 PM Eastern, linked through http://www.stewwebb.com. The 9-11 widow’s distasteful experience on Scarborough Country and facts uncovered by U.S. intelligence regarding explosive documents in Scarborough’s possession—linked to his congressional aide—raise questions as to whether there is more to this story than meets the eye, the paucity of national media coverage notwithstanding. “The American people will have to decide whether the potential to blackmail a U.S. congressman with the power to a) send our children to war based on lies, b) allow our pension funds to be stolen or c) bribe 9-11 victims so they promise never to sue the government for the facts is more important than a potentially compromised national cable news host with the power to cut off my microphone before I expose the Bush administration’s involvement in the death of my husband,” said the 9-11 widow.